I spent to much time looking for replacement barrels and may have found something, but for now here is the work in progress of my French Battleship for Leviathans from Catalyst Games. 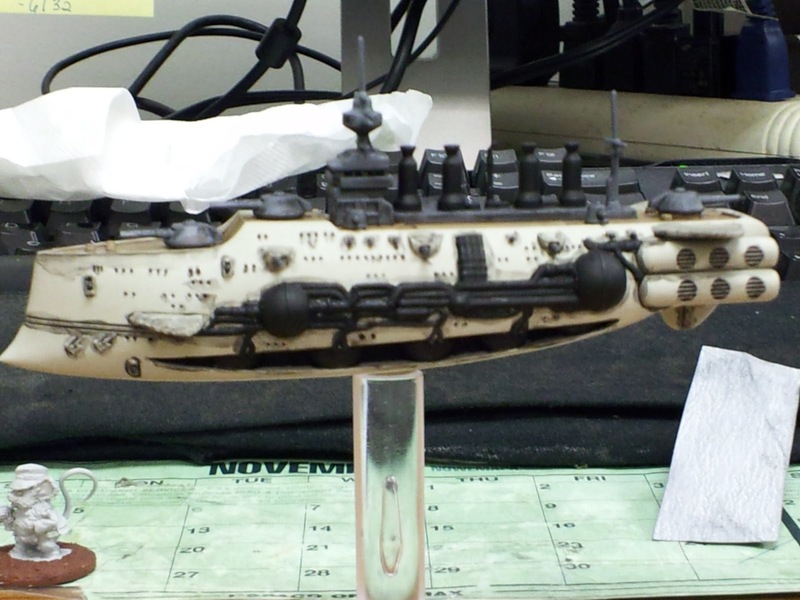 The messy black wash done, will go back and clean up the miniature with the main colors, and figure out what to paint the metal parts (currently black parts) on the side and bottom of the ship. I do like the main and deck colors, they really stand out well.